A honeymoon in Napa Valley is a dream of many married or about-to-be-married couples. It is not so surprising since the wine region is one of the top destinations either for romantic getaways or week-long honeymoons. Napa’s beautiful scenery alone is enough to set the romantic tone and quiet, relaxing ambiance — ideal for honeymooners who want to celebrate their new union in perfect seclusion. And they are free to choose whatever time of the day to get out of their honeymoon suite and explore the wonders of Napa Valley — day or night. If you are planning a Napa honeymoon, you might want to start your morning on a high note. 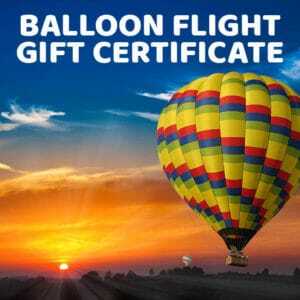 How about a sunrise hot air balloon ride? That will be a perfect start to celebrate your newly wedded life. If you decide to include a hot air balloon adventure to your itinerary, you might as well go with someone who has vast experience in this field. 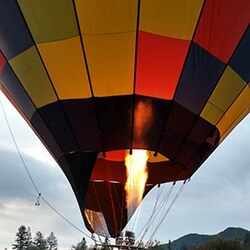 It’s none other than Balloons Above the Valley (BATV), the very first hot air balloon operator in Napa Valley. For over 40 years, BATV has still kept its tradition of providing exciting but safe flights while keeping its services updated to match modern times. 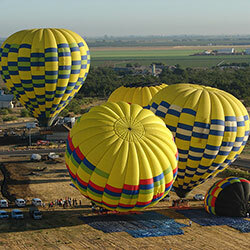 All BATV’s hot air balloon tour packages feature a pre-flight breakfast and a post-flight champagne brunch. The one-hour hot air balloon adventure will lead you up, up in the air, bringing you to a point that you will be able to see the gorgeous Napa Valley landscape from a bird’s eye view. The immaculately neat rows of grapevines become ribbed quilts, the trees look like small shrubs, the estates that dot the fields now appear to be toy houses, yet the mountains that flank the deep valleys remain majestic. Snap a selfie of you and your spouse together, sharing a kiss with the gorgeous and romantic Napa backdrop. BATV also offers the standard wine tours that may take place before or after the hot air balloon adventure, depending on the tour package. For instance, if you and your spouse want to take a wine tour after the hot air balloon ride later in the day, you may take the “Sunrise Balloon Flight – Champagne Brunch – Wine Tour” package. It is a good way to sample the local wines and learn more about the process of winemaking. Or, you may visit the wineries that you personally desire. Take your romance to the rails! The Napa Valley Wine Train allows you to take a trip back in time as you board one of the exquisitely-restored vintage railcars, which also functions as a moving restaurant. Enjoy gourmet meals as the train runs along the fields and the cities in the area. You’re probably wanting for a romantic picnic so you’ll be happy to know that in Napa it’s not so hard to find a spot for that. Many wineries offer lovely picnic areas, such as Bell Wine Cellars, Pine Ridge Vineyards, Louis Martini, Charles Krug, or V. Sattui Winery, to name a few. These places are often secluded where you and your loved one can enjoy a toast, packed lunch, and of course, each other’s company. Some pieces of advice: whenever you go to any of these wineries for a picnic, never, ever bring wine from another winery — that’s a no-no! And always remember: leave no traces before you leave. Pampering is something that you and your new spouse really deserve: after all the pre-wedding up to the reception, they may have left you high-strung and stressed. Nothing completes a honeymoon like going to a spa to have a much-needed massage or luxuriate in a mud bath while enjoying each other’s company. Check out the many resorts, spas, and wellness centers in Napa that offer a couples package! Cap your day’s worth of touring around Napa by going to nightclubs, watching concerts or catching live plays, or having a romantic dinner. You may also visit wineries that are open even after 5 PM, such as Capp Heritage Vineyards, John Anthony Vineyards, St. Clair Brown Winery, Romeo Vineyards and Cellars, and Girard Winery, to name a few. Or share a late night together at several cafes in Napa that — sharing a romantic meal doesn’t have to be at a fancy restaurant, right? Your honeymoon in Napa Valley will be surely full of activities that will enrich your experiences and help strengthen your bond as a newly married couple.